Tip the pearl barley into a sieve and rinse well under cold water to remove the excess starch. Pour into a pan and cover completely with cold water. Bring to a boil, cover and simmer over a low/ medium heat for 40-50 minutes, until tender but still with a slight bite. Drain and run under cold water until cool. Set aside in a large salad bowl. 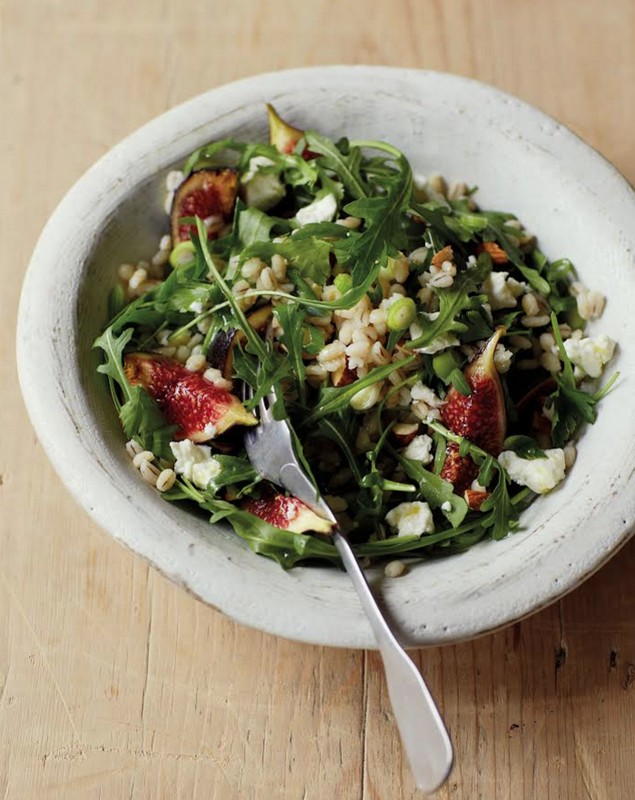 Combine the remaining ingredients with the pearl barley – drizzling over the oil and lemon juice just before serving.